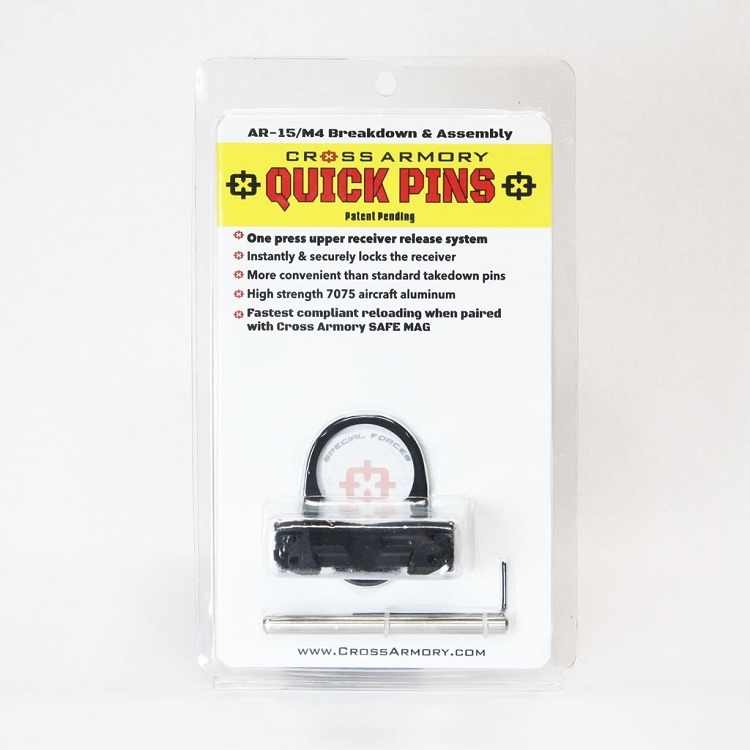 Cross Armory’s QUICK PINS is designed to replace your existing rear takedown pin. QUICK PINS opens easily and locks automatically when you close your receivers. 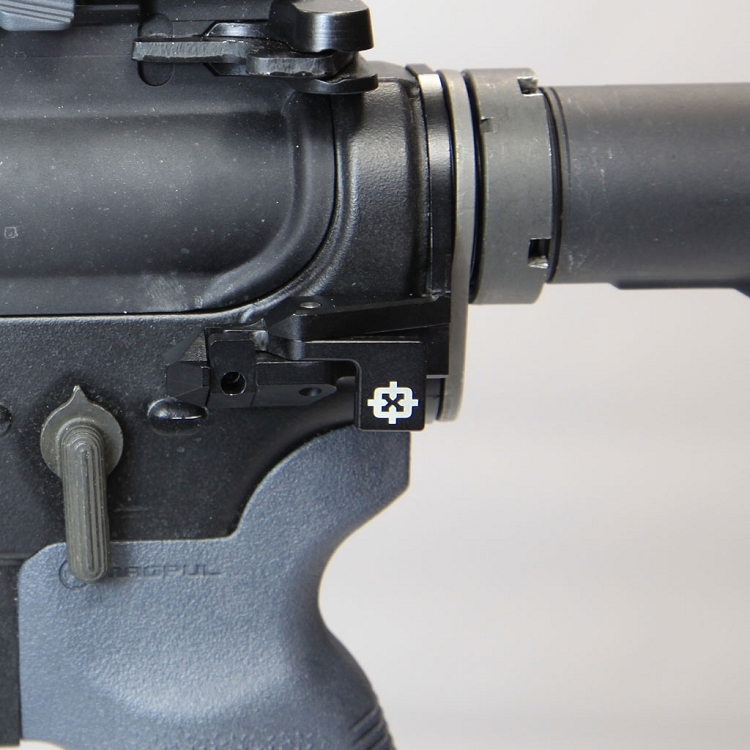 QUICK PINS allow for the most convenient separation and locking of upper and lower receivers in the industry. Whether in the field or at the range, mechanical failures happen. Accessing and fixing mechanical failures as quickly as possible is important to getting back on target quickly and safely. 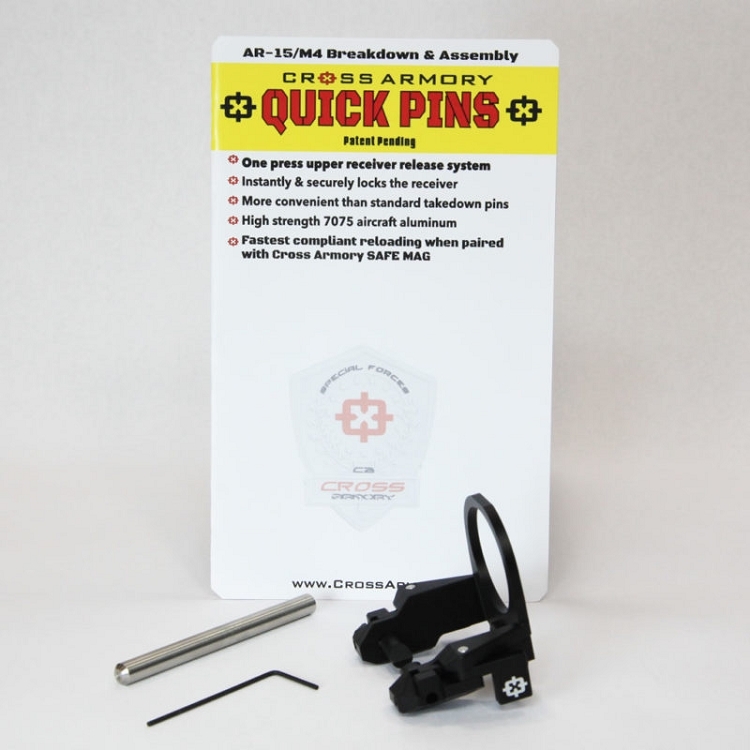 Cross Armory’s QUICK PINS allow for fast and reliable access to the most important parts of your weapon. QUICK PINS is machined from solid blocks of 7075 T-6 Aircraft Aluminum for high strength, light weight and durability. 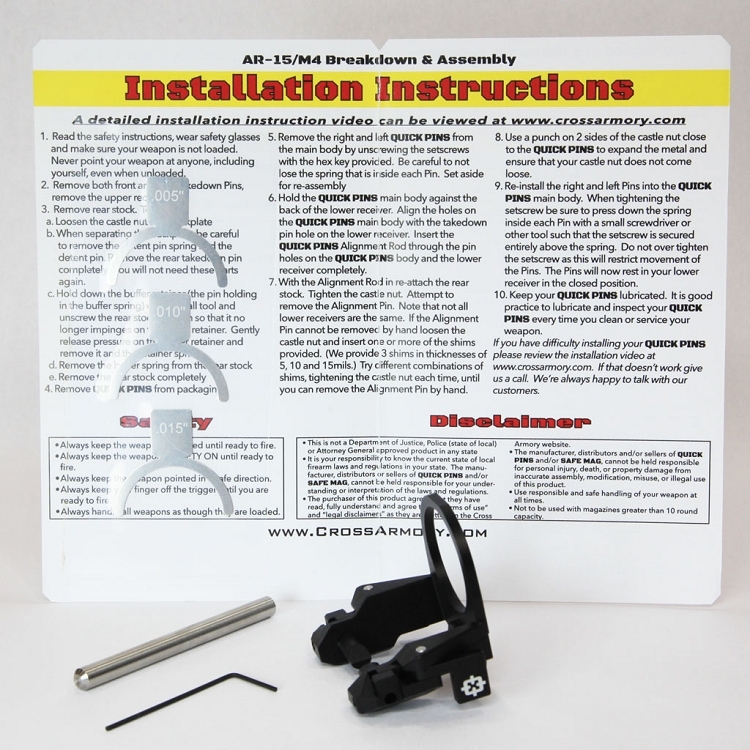 In many highly regulated states, including CA, NY, CT, MA, MD, HI, as well as Washington DC, gun owners are required to separate the upper and lower receivers in order to remove their magazines. 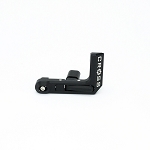 With Cross Armory’s QUICK PINS the separation and re-joining of receivers, requires minimal effort. With a pinch of your fingers the upper and lower receivers are free to be separated and by closing the two receivers together, QUICK PINS automatically locks the receivers together. 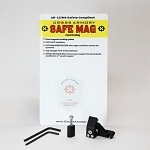 When paired with Cross Armory’s SAFE MAG, you will have a efficient and reliable solution in states that require disassembly of the firearm before reloading.